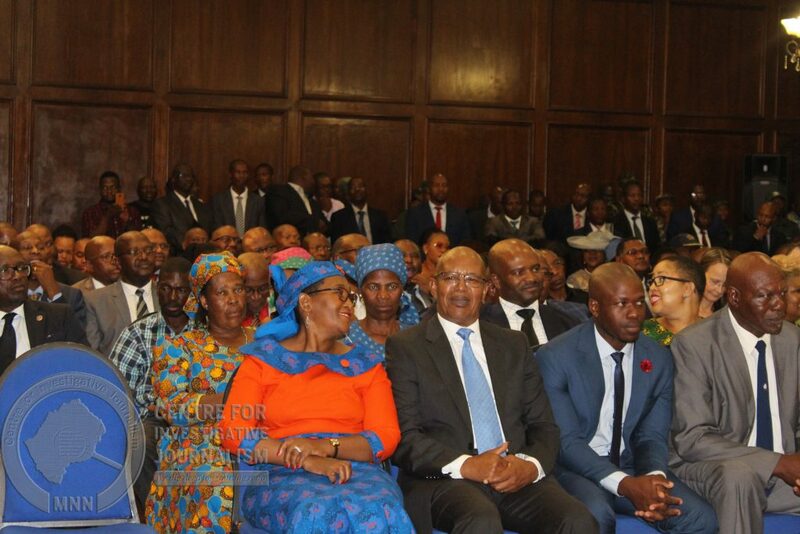 The reeling Democratic Congress (DC) has been dealt another blow, this time by the major ruling All Basotho Convention (ABC) which has poached the main opposition’s Secretary General Semano Sekatle. Sekatle, who has exceptionally won the Lebakeng constituency under the DC banner since the party’s inception in 2012, has told members of the press he would be crossing the floor to formalise his departure from the former prime minister Pakalitha Mosisili-led party when parliament reconvenes next month. He said he was joining Prime Minister Thomas Thabane’s ABC because the latter had approached and courted him “and by so doing, he saved me from the trap that my colleagues in the DC were orchestrating against me”. Sekatle defected together with his spouse, ‘Matumelo Pontso Sekatle who was the DC’s Women’s League President. He was speaking following his swearing in as new Minister of Tourism, Environment and Culture this week. Sekatle jumps ship at the time the DC faces notable challenges over leadership succession after Mosisili announced he would be retiring from active politics early next year. Before this, Mosisili decried the party had sank into problems and needed divine intervention. The party was first dealt a massive blow in late 2016 when then deputy leader Monyane Moleleki defected along with a large number of its executives and formed the Alliance of Democrats (AD), which later forged an alliance with the then opposition ABC, Basotho National Partyand Reformed Congress of Lesotho. The four parties now form Lesotho’s third coalition government following the June 3, 2017 elections. Sekatle becomes the third DC legislator to defect the party and join Thabane’s government since the elections. Tlohelang Aumane and Mothepu Mahapa, of Semena and Tele constituencies, left the DC to join Moleleki’s AD earlier. Aumane is now the development planning minister and Mahapa is the education deputy minister. Sekatle occupies the ministerial post which had been vacated by the Butha-Buthe legislator Motlohi Maliehe four months ago. Minister in the Prime Minister’s Temeki Tšolo acted for the post in the meantime. The DC Chairperson Motlalentoa Letsosa has dismissed Sekatle’s claims that he was no longer happy in the party as a result of being made uncomfortable by his colleagues in the executive committee. He said “those are just common reasons that people invoke when they decide to defect from their parties to other political parties. There is no truth in what he claims that he was made to feel uncomfortable by his colleagues in the executive committee. The DC is heading for a potentially heated elective conference scheduled for January 25 – 26, 2019, where the party’s deputy leader Mathibeli Mokhothu will lock horns with deputy secretary general, Tlohang Sekhamane, for leadership.